With regard to routine maintenance jobs that will need to be performed on a car or truck over its lifetime, there are some jobs that are easier to perform than others. For example, changing the spark plugs is generally going to be much easier to do than changing a timing belt within an engine. 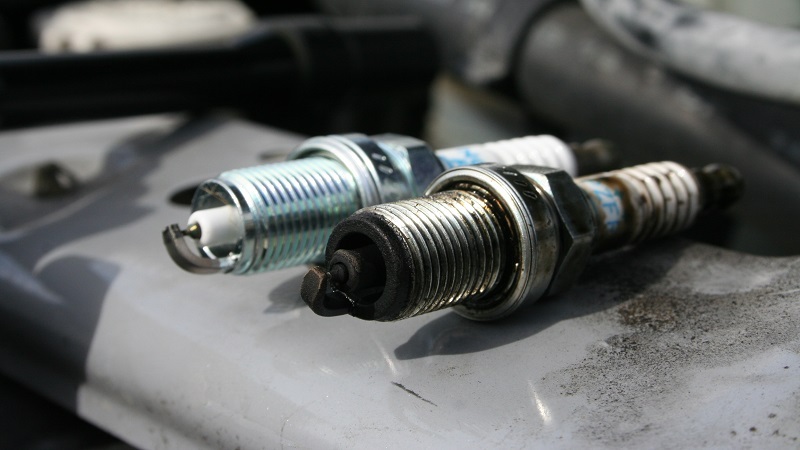 A spark plug removal and replacement can usually be performed by the vehicle owner if they have the required tools. But in the absence of the correct tools, it may be recommended that a mechanic perform the labor instead. If a four-cylinder engine is what is being worked on, then changing the spark plugs on one’s own car will only take about one hour. If an engine is larger or has more cylinders, it may take longer to complete the job. Either way, it should not be an excessively long process. Having the right tools is the key to making the job of changing spark plugs go smoothly and without any mistakes. Because spark plugs are such important components for the basic functionality of an automobile’s engine, making sure that they are replaced correctly will help ensure that an automobile engine continues to run smoothly well into the future. Because of the basic functionality of spark plugs, they tend to erode some of the metal every time the spark jumps between the electrodes. This means that over time, the gap between the electrodes grows larger and larger until finally, the spark can no longer effectively bridge the gap between the electrodes. When this happens, lots of things can follow. For example, gas mileage might suffer, acceleration can be diminished, engine misfires may occur, and eventually a check engine indication may activate on the dashboard. All these symptoms do not guarantee that it is time to change a spark plug, but they can serve as indicators that the spark plug could be the issue. Knowing how to recognize these kinds of issues with spark plugs can ensure that a replacement gets installed before any unwanted complications take place. Having all the necessary tools for changing spark plugs is critical for performing the job correctly, and some of these required tools include a gap gauge, ratchet, and spark plug socket. There is one element of spark plug replacement that some people may occasionally overlook, and that is the need for having a torque wrench for the purpose of tightening up the new spark plug(s). A pneumatic torque wrench will be able to supply enough power and torque to get the plugs tight enough, and to make sure that they do not come loose at any point. If a torque wrench is not available, there are ways to achieve sufficient tightness without it. However, it is preferable to use the pneumatic torque wrench for tightening spark plugs if you can get your hands on one. Spark plug replacement can be done using manual tools but without a torque wrench, it is usually going to be much more difficult to make the spark plug tight enough and it could start coming loose with excessive vibration. Changing spark plugs without the help of an auto mechanic can save money but without automotive expertise, you’re better off going to a professional in order to ensure that you don’t mess something else up in your car.